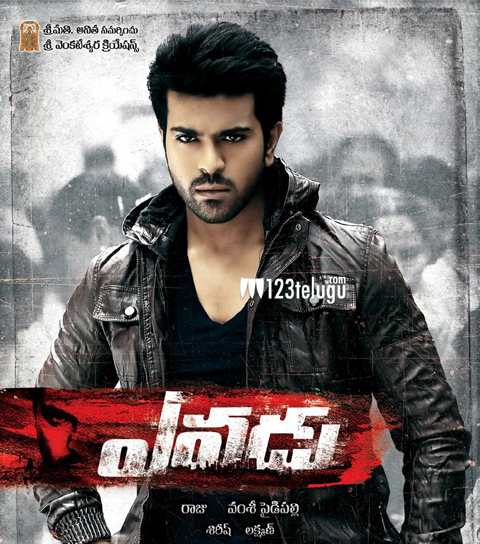 Ram Charan’s upcoming film Yevadu is in the last leg of shooting. Shruti Haasan and Amy Jackson are the lead actresses in the film. Recently, a song was canned on Ram Charan and Shruti Haasan near Zurich, Switzerland and that schedule was wrapped up last week. The latest news is that a new schedule is going to start from May 29 in Hyderabad. Ram Charan, Shruti Haasan and Amy Jackson are going to shoot in this schedule. Buzz is that the entire shooting will be wrapped up by June 20. Vamshi Paidipally is directing the film and Dil Raju is producing it. Allu Arjun and Kajal Aggarwal are playing cameos in this action thriller. Devi Sri Prasad is scoring the music. The hype surrounding the film is massive and Ram Charan is said to have done a brilliant job, especially in terms of action sequences. The film is likely to hit the screens in July.